A landmark, long-term study of the effects of high-quality early care and education on low-income three- and four-year-olds shows that adults at age 40 who participated in a preschool program in their early years have higher earnings, are more likely to hold a job, have committed fewer crimes, and are more likely to have graduated from high school. Overall, the study documented a return to society of more than $16 for every tax dollar invested in the early care and education program. In the recent US elections, residents of the city of San Antonio in the state of Texas, in addition to electing the president and their representatives in Congress, were also asked if they would agree to a 0.125% sales tax to provide full day preschool education to poor children in San Antonio. The results were as close as the popular count for the presidential votes. It seems that with Weikart's study, the outcome should have been more similar to the electoral count (where President Obama scored an overwhelming victory over Governor Romney). When society puts in $1 and gets $16, the question should have been a "no-brainer" (To understand the returns on investment from early childhood education please read "Teach Your Children Well" or "The Productivity Argument for Investing in Young Children"). How many other government programs can boast of a similar huge return on investment? Yet, the results were only 54-46 in favor. What were the 46% thinking? Ignoring research is in fact a common plague hurting the design of policies in public education. 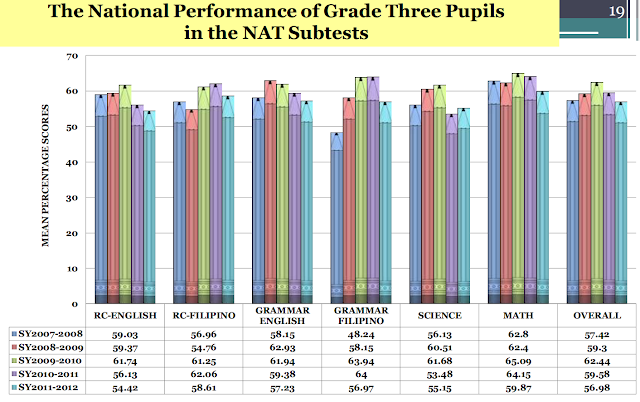 Sadly, DepEd's K to 12 in the Philippines is one glaring example. Preschool, kindergarten and the early years of elementary education are crucial and these are the periods in basic education in which returns on investment are evidently much higher. Yet, DepEd's K to 12 puts its focus on adding two years at the end of high school. With severely limited resources, focusing on the quality of kindergarten is the obvious correct thing to do. 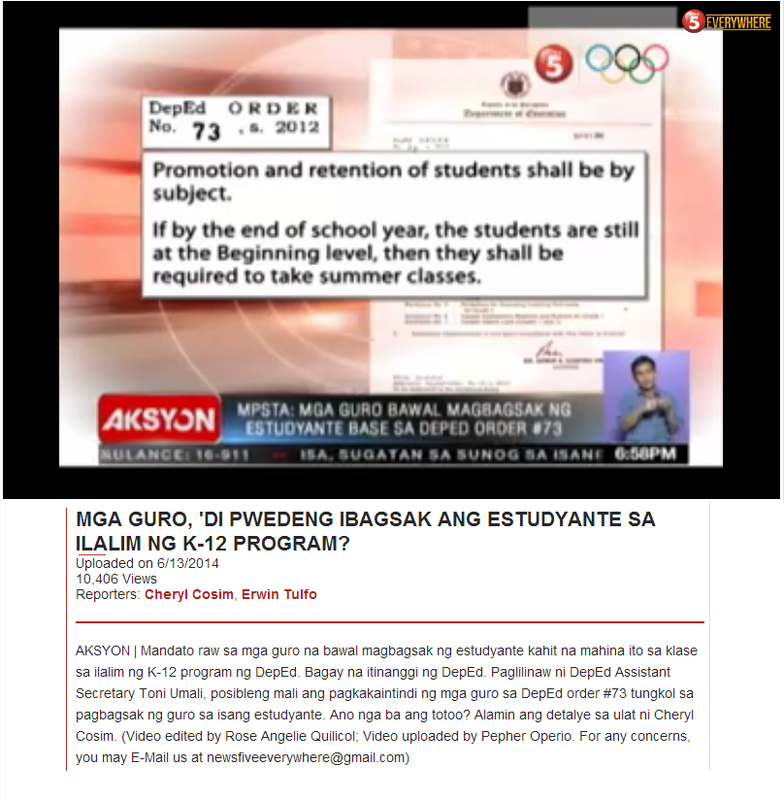 DepEd, however, insisted on stretching its limited funds further and settling with a very poor kindergarten program.